Part one of this post appeared yesterday, detailing the negative points of the Buffalo Sabres current rebuild. Part two focuses solely on the good points that are pointing to a promising future. Amending the mistakes and shortcomings on Buffalo’s roster certainly won’t be an easy feat. Some oversights simply won’t ever be fixed. For example, unless Robin Lehner becomes a Vezina contender or steals a playoff round (or two) it’s unlikely the price Murray paid to acquire him will ever be justified. That doesn’t mean he hasn’t been a sufficient starter for the club either. 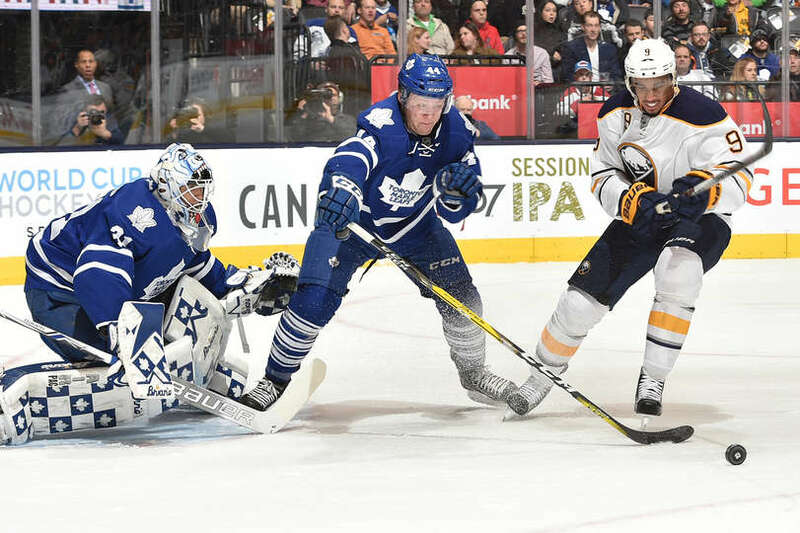 That he’s shown to be a capable starter – and that Anders Nilsson has enjoyed a resurgence in a backup role for the Sabres – gives Murray and the Sabres time to evaluate their long-term options. Both Lehner and Nilsson are restricted and unrestricted free agents, respectively, Lehner has arbitration rights so all signs point to him being retained for at least another season. Nilsson’s play may motivate him to explore the open market for a team offering more money and more minutes, but I’m expecting to see him for at least another year in Buffalo. While it may pain some fans to read, if either of Buffalo’s goaltenders are likely to move on, it would be Nilsson. Linus Ullmark has turned into a workhorse for the Americans this season, earning AHL All Star honors while facing the most action in the entire league. Ullmark’s development is likely reaching a point to where further AHL action won’t be of much value compared to taking the step into the NHL. Ullmark’s overall development may ultimately fall short of being a true number one in the NHL as his play in North America has been more than encouraging, but he hasn’t shown the dominance you’d expect to be considered the answer in goal for a franchise. Even still, he’s a young asset for the Sabres to utilize and taking over the backup role next year seems to be the next logical step. That isn’t to say that retaining Nilsson shouldn’t be done. 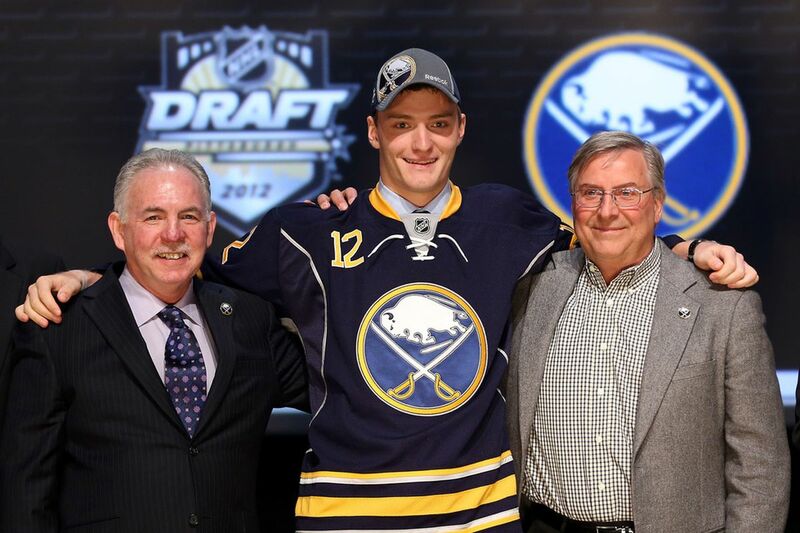 He’s played very well for the Sabres this year and will likely record career best numbers at the NHL level. He’s proven himself as a viable option in net capable of maybe taking on a larger workload in tandem with Lehner. An interesting story line has begun to emerge as the Sabres have struggled to move past the improvements made during the 2015-16 season. With the team stuck in roughly the same spot they ended 2016 in, more fans are questioning the moves made by Tim Murray in an attempt to turn the Sabres from the basement dwelling fixer upper he inherited to the Cup contending team the fans and ownership are so desperate to see. Due to a host of reasons, many self-inflicted, the lack of serious progress has raised questions ranging from the GM’s ability to evaluate talent to why the coach has made certain systemic decisions. Most of the questions that are being asked are well founded while others are simply ridiculous. There seems to be a growing sense in the fan base that Buffalo’s rebuild has stalled or is even irrevocably broken and doomed for failure. That latter opinion, of course, is lunacy. There are some obvious holes left on Buffalo’s roster but looking at the big picture, this thing is still heading in the right direction. If nothing else, the foundation to head in that direction has been laid, it’s just a manner of covering the gaps. 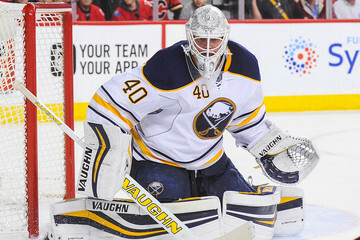 It was a whirlwind of a weekend for Tim Murray and the Buffalo Sabres as Buffalo’s GM maneuvered to acquire a new starting goaltender, a legitimate top-six forward and a potential franchise defining talent with the first three picks at his disposal. Oh, yeah, NOW you smile. – Terry Pegula. The selection of Jack Eichel was all but guaranteed the moment the Oilers card was pulled during the draft lottery. But trading for Robin Lehner, David Legwand, Ryan O’Reilly and Jamie McGinn was hardly an expectation. The new acquisitions, coupled with this week’s signings, set the stage to push Buffalo’s rebuild forward significantly.